2nd Place Winner in the 2015 Hessler Street Fair Poetry Contest! ~ Mister, Can You Tell Me How to Change the World? There is an ongoing debate on whether or not a poet should include their earliest works when writing a repertoire. Do you show the audience things from childhood? Do you let them see the evolution of the poet? The maturity in thoughts and writing style? I could try to hide these juvenile meanderings, yet leaving them out still doesn’t negate their existence. My readers could still seek them out if they wanted to. Rather, I shall reference them here instead and take pride in my evolution as a poet. It has been a long journey and I am proud of each step of my path, no matter how small. 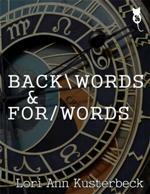 Published By: Anthology of Poetry, Inc.